Assured Guaranty (NYSE: AGO) is the leading provider of financial guaranty insurance. We guarantee scheduled principal and interest payments when due on municipal, public infrastructure and structured financings. For three decades, in the United States and select markets around the world, we have been committed to protecting debt holders from payment defaults and to helping issuers obtain cost-efficient access to capital. We also provide reinsurance to the financial guaranty industry. Assured Guaranty provides detailed financial information on a consolidated basis for Assured Guaranty Ltd., the parent holding company for the group, as well as for each of its principal operating subsidiaries, Assured Guaranty Municipal Corp. (AGM), Assured Guaranty Corp. (AGC) and Assured Guaranty Re Ltd. (AG Re). For information on additional Assured Guaranty companies, please contact Investor Relations at ir@agltd.com for assistance. 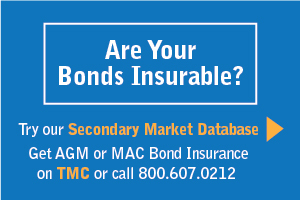 Assured Guaranty companies have insured U.S. municipal bonds, structured finance transactions, and international infrastructure financings. Additionally, obligations of CIFG Assurance North America, Inc. (CIFG) and Radian Asset Assurance Inc., which were both acquired by and merged into AGC, are now obligations of AGC. Assured Guaranty Ltd. and its subsidiaries have issued a wide range of securities, including common equity and debt (including senior notes, quarterly income bond securities, quarterly income debt securities and two different junior subordinated debenture issues). Additionally, AGC and AGM have entered into committed capital securities agreements with certain special purpose trusts that issued committed capital securities. The Sutton Capital Trusts granted AGM and the Woodbourne Capital Trusts granted AGC put options that, if exercised, would require each trust to liquidate a portion of its assets in order to purchase preferred stock of AGM or AGC, respectively.